What could be better than a juicy grilled burger, whether it's summertime or, for the grill enthusiasts, even the dead of winter? But getting that perfect burger off the grill involves a lot more than just throwing it onto the grill. If not done just right, the burger can balloon up or completely fall apart. 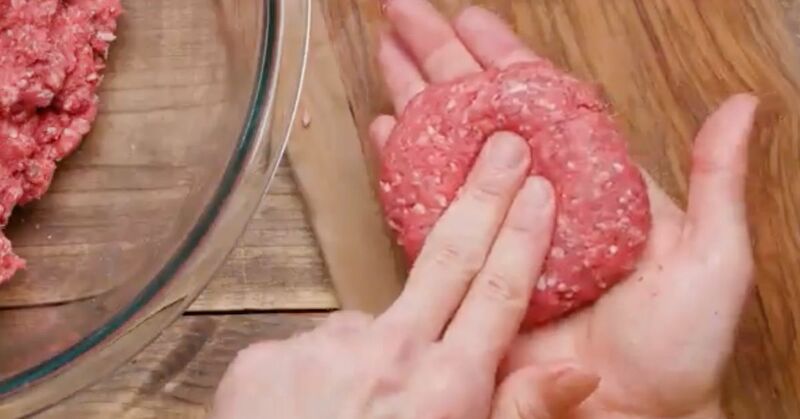 Or, it could end up being completely dry, not the succulent, get-all-over-your-fingers burger you want it to be. But follow these recipes below and in no time at all, you'll be flipping better burgers than any you'd find at your favorite burger joint. Chicken Parmesan is a popular favorite, but sometimes it can be a little heavy. All that pasta on top of the breaded chicken — it's certainly a warming winter dish! 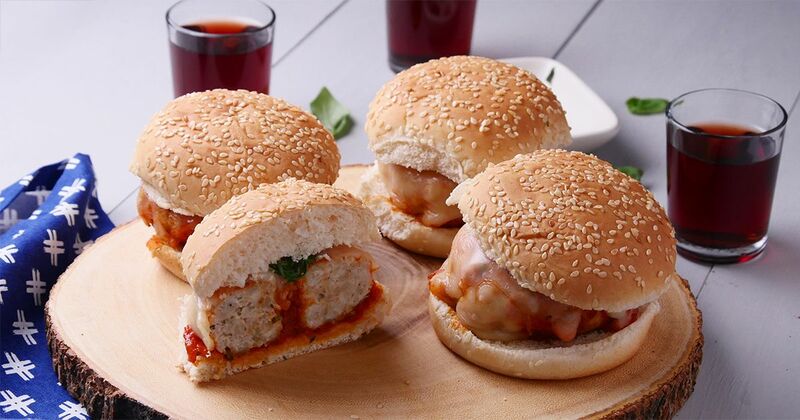 So, when you're in the mood for chicken Parmesan but it's too hot outside, why not turn it into a burger! The recipe below nails it, capturing everything to love about the dish without all that heavy pasta. Get the recipe here. 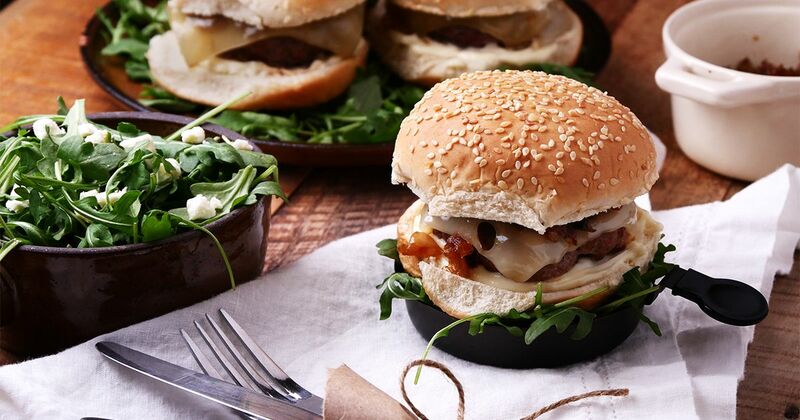 Give your tastebuds a treat with these sweet and savory pork burgers. 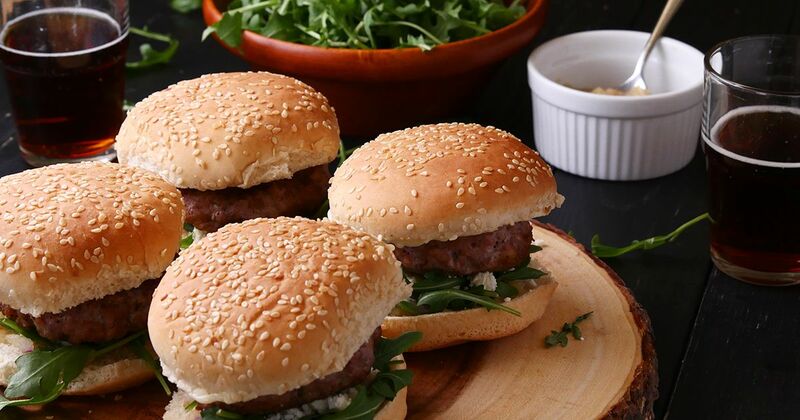 Using ground pork instead of beef is a great way to naturally infuse extra flavor into your burgers. If you've never tried it before, the recipe below will get you started. You'll get to see how juicy a pork patty can be, and the sweet topping will kind of blow your mind. Get the recipe here. Figuring out what to eat for dinner is a question we all struggle with from time to time. If you're a fan of the savory, melty flavors of a cheeseburger and also love tacos, you'll love this recipe below that combines both of these scrumptious meals into one dinner. Get the recipe here. What's a Western bacon burger? Only the best burger of your life! 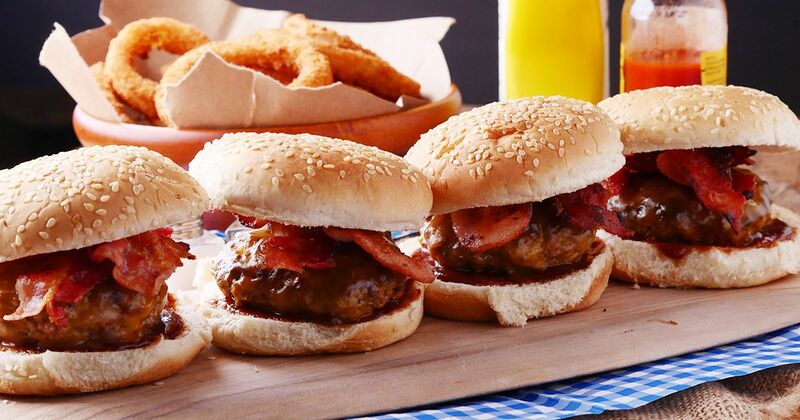 Sweet barbecue sauce, smoky bacon, savory cheddar cheese and crispy onion rings come together to make an incredibly flavorful burger. In fact, the recipe below will rival any cheeseburger at your favorite restaurant at a fraction of the cost. Get the recipe here. If you don't have a grill (or, the weather isn't right for cooking outside), don't fret. 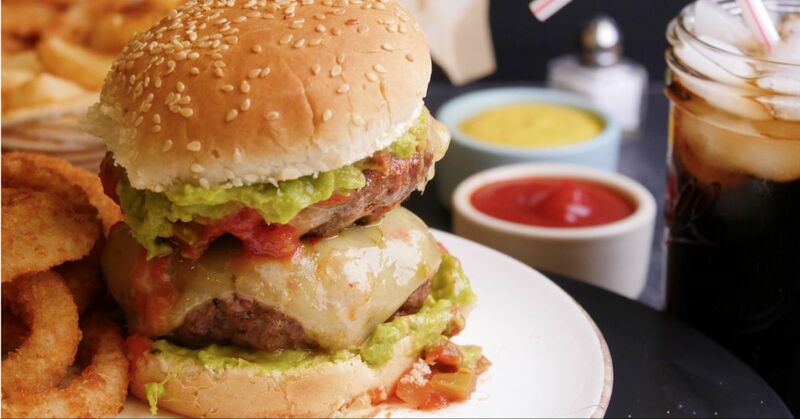 You can still make amazing cheeseburgers from the comfort of your kitchen. Some might say you need the smoky char from the grill to make hamburgers taste great, but a nice, crispy sear is a delicacy in its own right. The recipe below uses a cast iron pan and turns out some of the best burgers you'll ever eat. Get the recipe here. 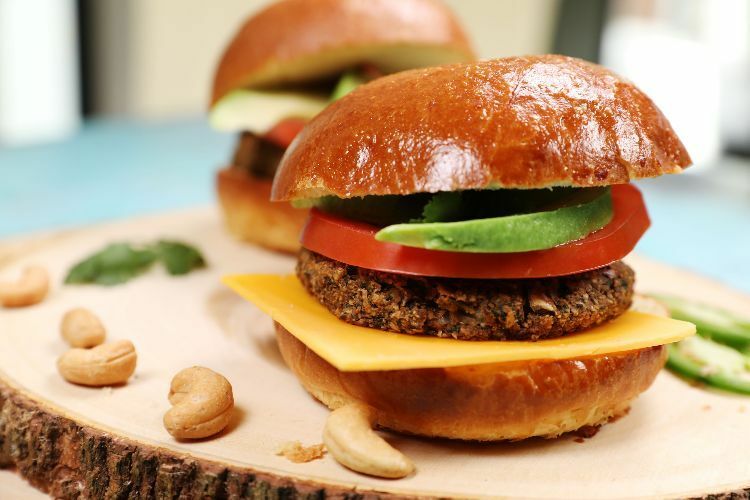 Hemp seeds are a vegan superfood: rich in all three Omega-3 fatty acids, the flavorful, earthy seeds are the base of these burgers, along with black beans, cashews and a hint of spice. Combined with some fresh cilantro and spices, the recipe below is perfect for a vegan dinner party or barbecue. Making your own vegetarian burger patties can be incredibly time-consuming. Then, after all that work, you find out they're not as good as the ones in the frozen section at the grocery store. Well, here's the good news. 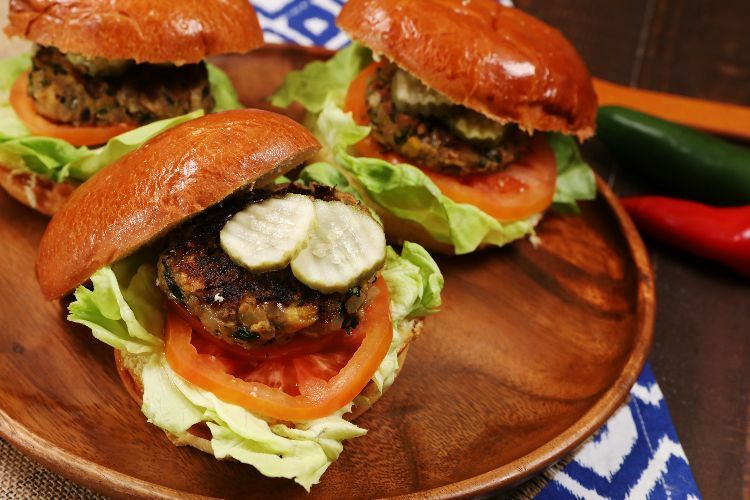 The recipe below is super-easy to make and has so much more flavor than any vegetarian burger you've probably ever had. Get the recipe here.